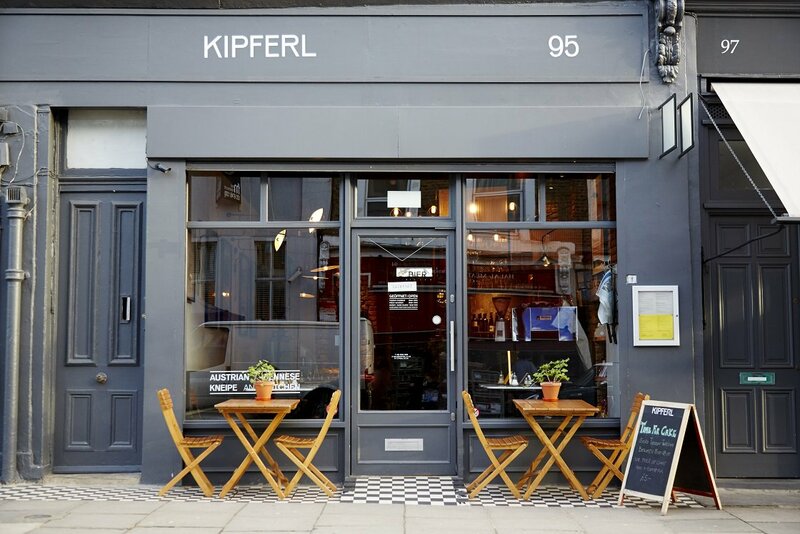 Kipferl: for coffee, cake and courtship. We know: a football-themed cafe. Curveball. Flags covering the ceiling, football paraphernalia wedged in everywhere and an almost-constant stream of matches on the big screens and the Bonzini football tables... doesn't sound like the most romantic of places. Hear us out. It's relatively quiet if you steer clear of evenings and lunchtimes. The coffee's good, the food's substantial and decent value for EC1, plus it's got a Portuguese-Mediterranean feel. Take your loved one, order Spanish beers and Portuguese sandwiches, and roleplay being on a short break to a hot place together. The homemade chocolate cakes and good coffee at this Kentish Town coffee shop are already inviting. But it's the fresh flowers on the tables, regular film screenings in the evenings and cushion-covered corner seating big enough for two that really tip it into romantic. Austrian sachertorte and coffee are the specialities of this Islington independent, hidden in the narrow lanes of the market. It's narrow itself, and warmly lit, with a main table covered with cakes and snacks making it ideal for an afternoon date. And if the date's going well, it also has a dinner menu and wine so you can prolong it late into the evening. Lots of restaurants in London are doing the Outside-Inside thing to good effect - the conservatory at Blixen and the Salon at Spring are good places to get a fix of foliage indoors - but not as many cafes. 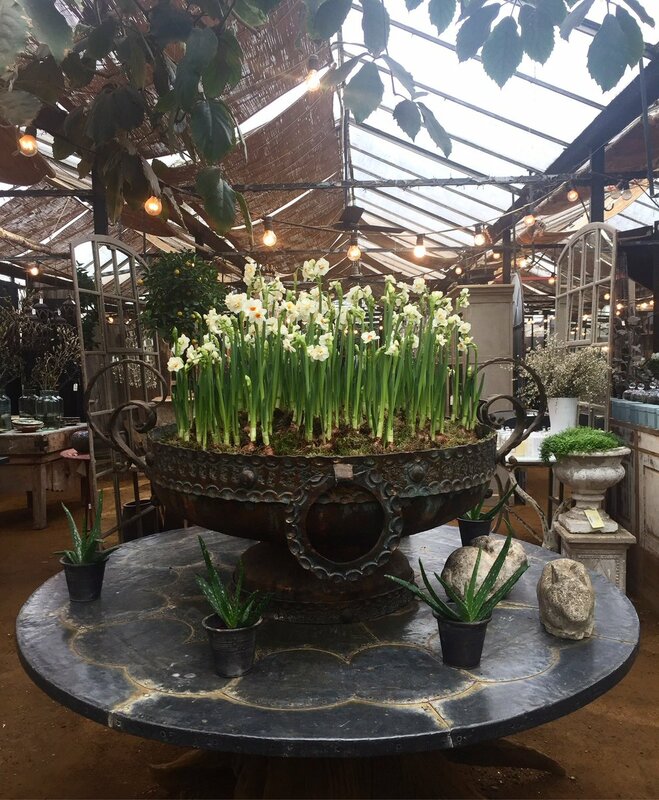 Petersham Nurseries, with its flowery, pretty cafe, is a great mix of floral and greenery, and there's a slightly ramshackle air to the furniture and building stopping it from tipping over into chintzy. Extra romantic for being perfectly-placed to start or end a hand-in-hand walk along the Thames, through Petersham Meadows or across Richmond Park. This inconspicuous little cafe, just round the corner from Canonbury station, calls to mind Mary Poppins' handbag, says Londonist's Ruth Hargreaves. Why? Because it's the space that just keeps giving. The tiny shopfront gives way to a sweetly ramshackle seating area - all dark woods, wicker baskets and hanging garlics. It's charming, but wait until you encounter the garden area at the back. Potted plants, climbing vines and low-hanging branches stretch as far as the eye can see, with intimate seating areas tucked away in leaf-covered nooks. Perfect for some green-fingered flirting. The cakes at this Islington patisserie are artistic and complicated, covered in curls of cream, fragments of meringue or whirls of chocolate. 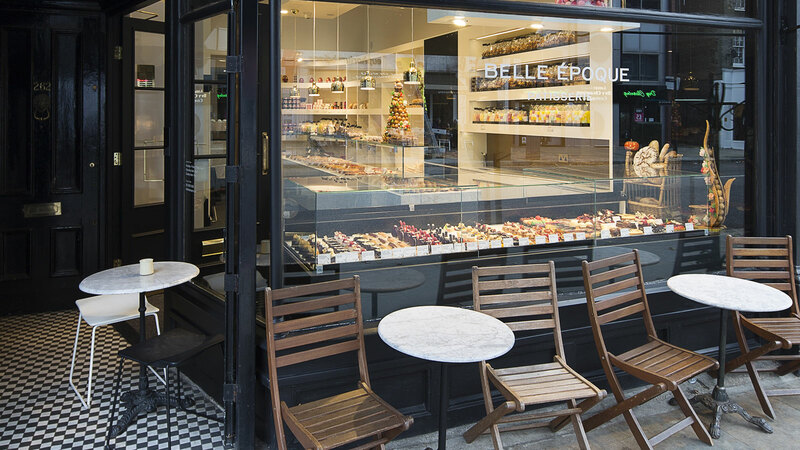 The cakes are grand but the patisserie's cosy and friendly - you can enjoy the high-art eclairs of London's most mind-blowingly expensive venues without the formality. 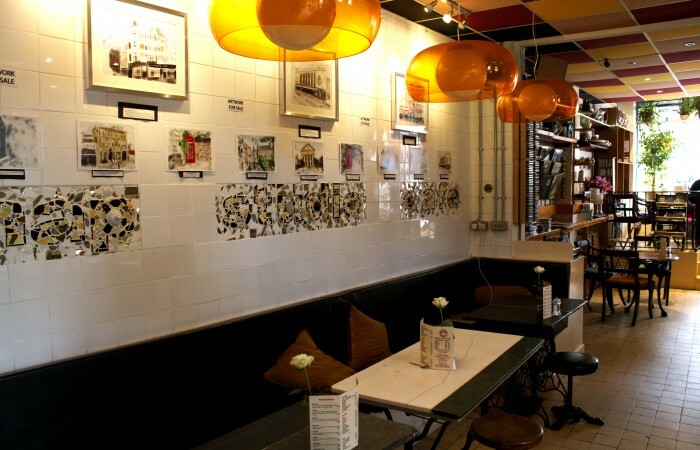 Bar by night but coffee shop by day, this Soho spot is designed to feel like a small Italian railway station bar. And there's something inherently romantic about a train station, right? 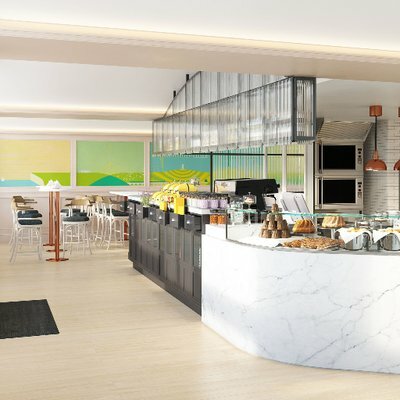 The design calls to mind long journeys and tender reunions - and it doesn't hurt that the coffee's great and the pastries are soft inside while crunchy on the outside. Best of all, you can get soft bread with slices of cheese or cured ham on pieces of greaseproof paper to spread out on your table and tear into with your date. 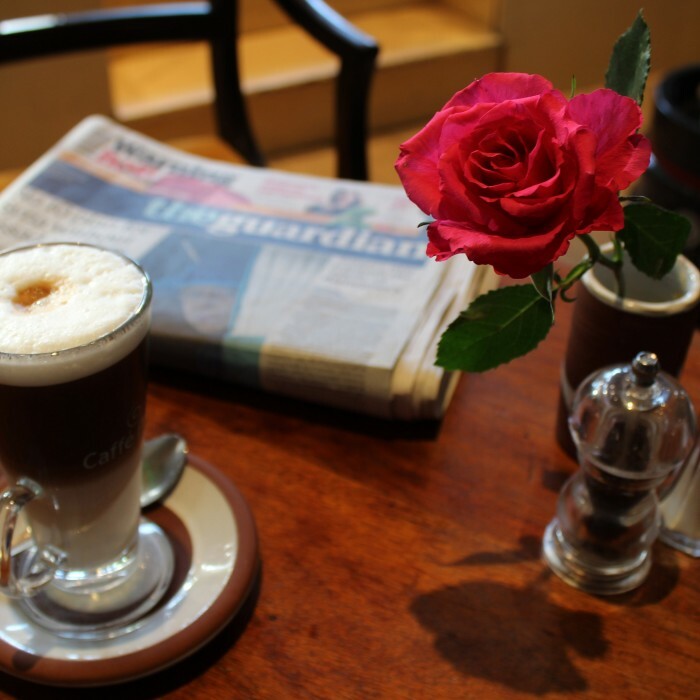 Ideally placed in theatre-land, Londonist writer Ruth Hargreaves recommends Cafe Monico for a pre or post-show tipple. The double height ceiling, low-slung chandeliers and European jazz vibe give the venue a chic grandeur, while the menu still allows for nothing more than a cup of tea and slice of cheesecake, if that's all you're after. Wood-panelled walls and cosy lamps invite a sense of intimacy, while the balcony seating upstairs offers the best view of the impressive central bar area. After a romantic stroll, deer-watching in Richmond Park, R & H cafe gallery is a bijou pitstop and serves a darn good cup of coffee too. Homemade Persian food is on hand to warm you up, says Londonist's Ruth Hargreaves, with a cracking range for vegetarians and vegans. Friendly staff, quiet location and a bright, welcoming interior make it an independent worth remembering next time you're looking to impress. 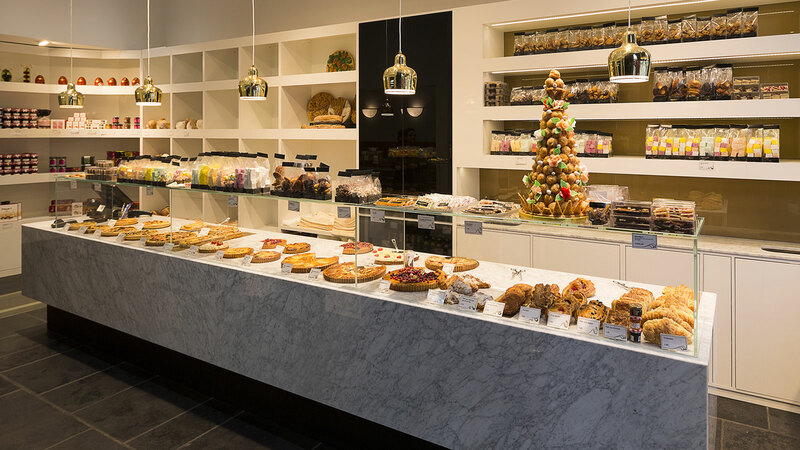 It's not the atmosphere at this bakery that is romantic - it's a bit too bright and clean-cut for it to feel intimate; though it is pretty, all faded floors and big, light windows. Instead the romance comes from the menu, featuring items like hot chocolate with a marshmallow flower balanced on top that 'blossoms' in the heat (an unfurling marshmallow! In your drink!) and small madeleine cakes baked to order and brought to you fresh from the oven.